Starting a collection of Apple’s past is relatively easy and often affordable. But once you get started and a pricey, rare object presents itself, will you be able to control yourself? Here’s a list that will test whether you have the fever and an intense desire to hold personal computing history in your hands. It may also test your fiscal fitness. This tempting lineup is a snapshot of eBay on any given day, and comes from the keyword search: Apple Vintage Computer. 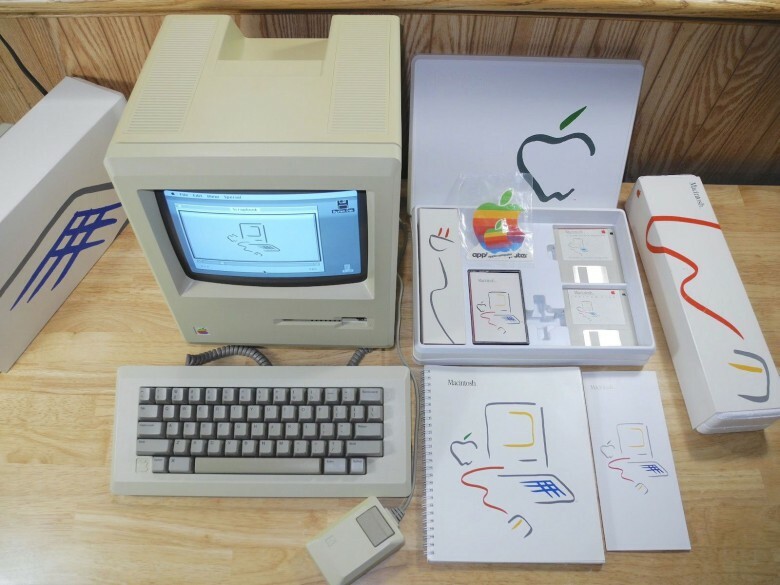 Many of these Apple collectibles are still available for bid or purchase, including some recent auction items that were priced jaw-droppingly high. You’ve been forewarned. A device’s collectibility is largely based on the number of units produced, its revolutionary impact, and whether it includes working components and original packaging. All of this, coupled with demand, may be the difference between a valuable piece and a boat anchor, says Atlanta computer collector Lonnie Mimms. But buyer beware: Prices, especially for “factory-sealed” items on eBay are all over the map and are not based on any official value guides, says collector and author Jonathan Zufi. While some sellers will list items at a grand or two, others will list the very same item for thousands more, says Zufi. It only takes one person who wants something bad enough. Proceed with caution and check your impulses. The Steves’ — Jobs and Wozniak — first computer was built in a garage in 1976, and will cost you a small fortune since only about 60 are known to exist. 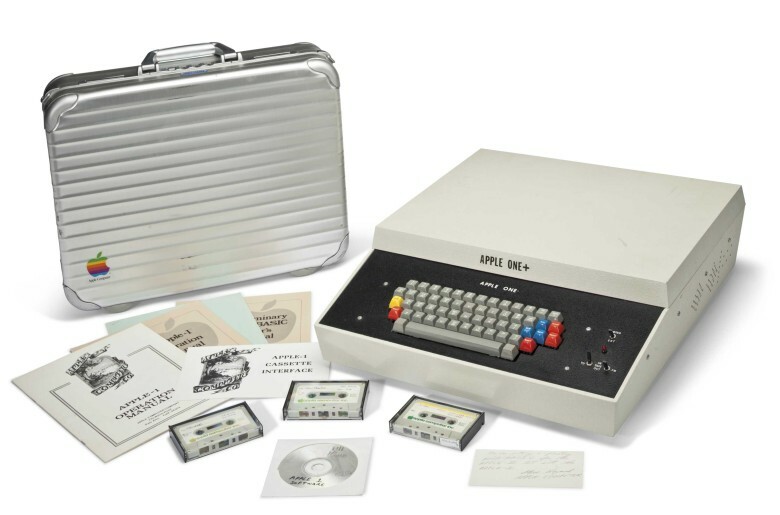 The Ricketts Apple-1, named for its original owner, Charles Ricketts, fetched $365,000 in December 2014, and is the only machine known to exist with documentation showing Jobs personally handled the sale. 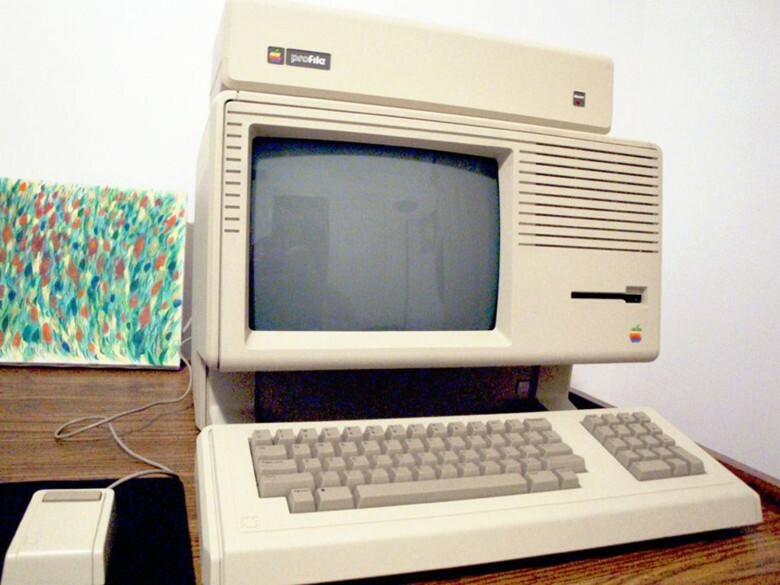 The record price on an Apple 1 was set a few months earlier, when the Henry Ford Foundation wrote a check for $905,000 to have the machine in its museum in Dearborn, Mich.
Be careful, replica Apple 1s do pop up on eBay. These are unassembled kits and should only be priced at around $1,000. Designed and marketed for business use, Lisa’s $10,000 price tag contributed to its poor sales. They’re kind of rare, especially the Lisa 1, and still highly valued. Working Lisas have gone for as little as $3,000 in the past, but there are two currently on eBay, here and here, that far exceed that. 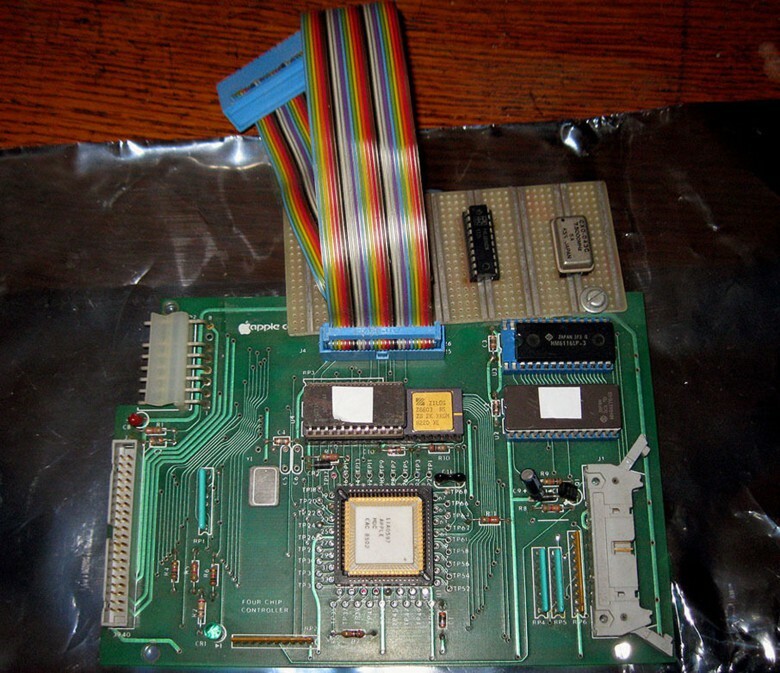 One dealer is offering up a prototype of a Lisa 2’s four-chip controller board. For $499.99, this could be your gateway drug for the unique addiction of collecting prototypes. You can easily determine whether the Apple device you stumbled upon is a test unit. Early models of pre-production computers were often encased in a clear plastic (known to collectors as “clear shots”). There is also usually some sort of tag or label indicating a pre-production status. How rare are these? Depends on the device. There may be only 10 units of a first-generation Classic iPod. But for the iPhone, Apple makes dozens of units and sends them around the world for testing by certified testers. Prototype collector Hap Plain found his first Apple collectible on Craigslist, but some of his best pieces came from meeting former Apple engineers who hung on to their work, he says, but happily sell — or sometimes donate — a piece if they know it is going to a good home. You could start your collection off by buying one — for $95,000. 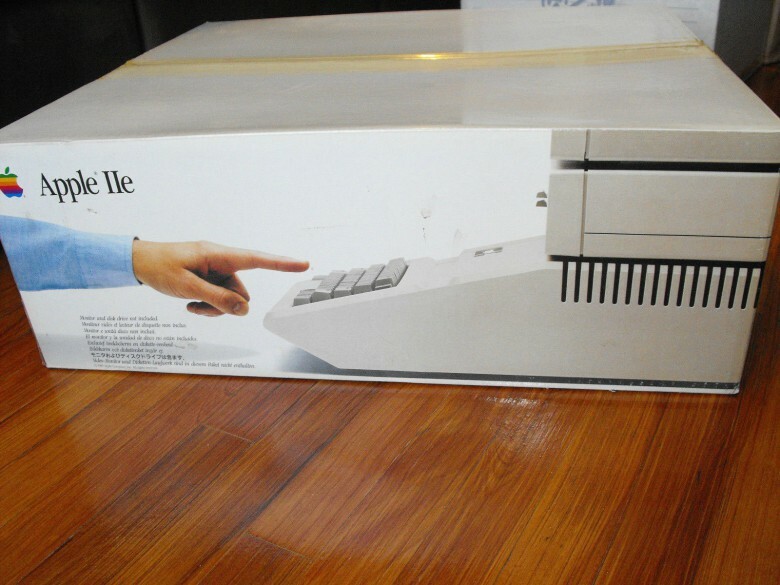 The dealer, asti7127, also out of Canada, is selling Apple collectibles that include a prototype Apple Powerbook 100, a prototype LaserWriter printer an Apple Dual 3.5 inch disk drive, which never went into production and a prototype Apple Newton. The dealer will also throw in a couple of Apple Lisas, a corduroy picnic bag with the Apple logo and other pieces of Apple schwag. A bit steep? 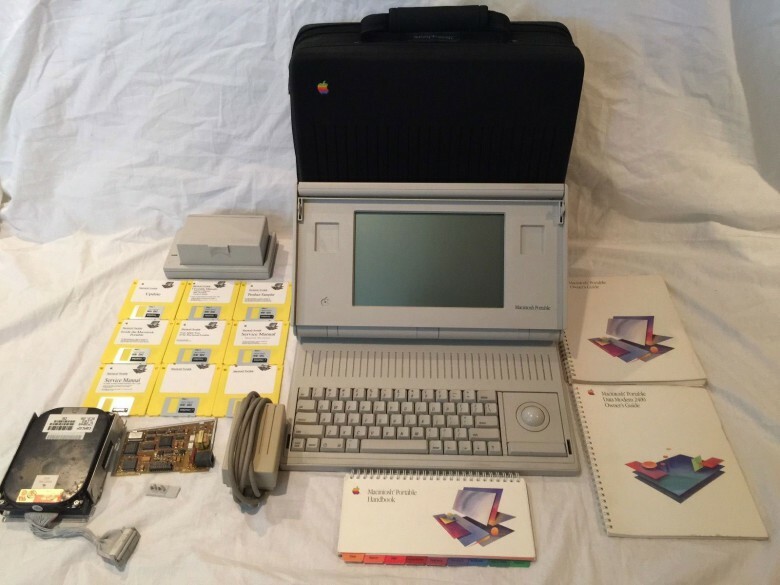 A dealer who goes by theapplegurug has a nice Prototype Apple Macintosh Portable M5120 with software, manuals, a case and other accessories for $2,749. The 1984 machine that made many Apple fans first fall in love is still available should you feel an urge to rekindle the old romance. A working 128k model M0001 is currently available on eBay for $2,999.84. Includes box, manuals, and that boxy mouse. Models with 512K often appear on eBay for under $1,000. So Apple wasn’t the first to make an MP3 music player, but it did make the one everyone wanted. iPods in a variety of colors and generations are all over the internet at prices that will fit any financial acumen. A well-used iPod may only be a couple hundred bucks. But you might think a better investment would be to find a first generation Classic still sealed in its box. That’s where prices can get a tad crazy. A first generation 160G black iPod Classic in its unopened box is available from gandysales for $2,200. However, deepishharry offers an unboxed 5G Classic that he will let go of for $14,900. 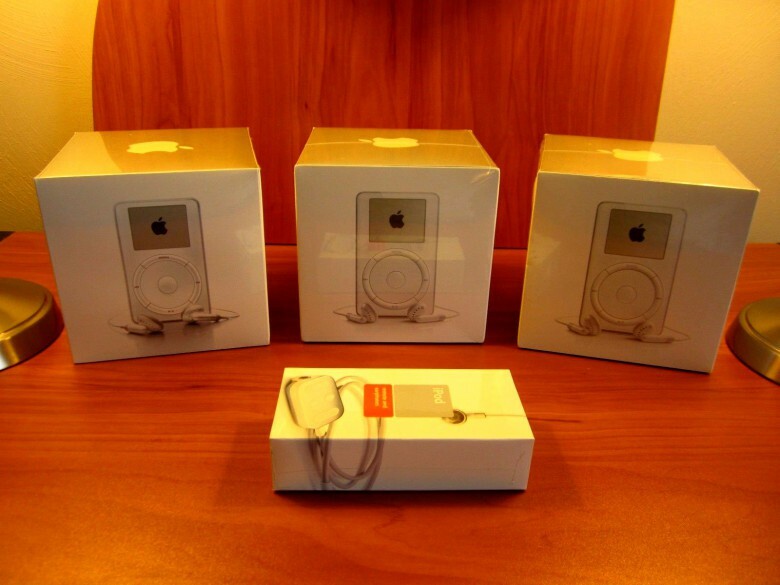 Or send $50,000 to theappleipodbay and the money will buy all three first generation iPod Classics in 5G, 10G and 20G still sealed in their boxes. Eight potential bidders are watching. First-gen iPhones, especially with early serial numbers will fetch several thousand dollars on eBay. Currently, bobk1000 has a first-generation 8G black iPhone listed at $18,000. It is still sealed in its rather handsome packaging. 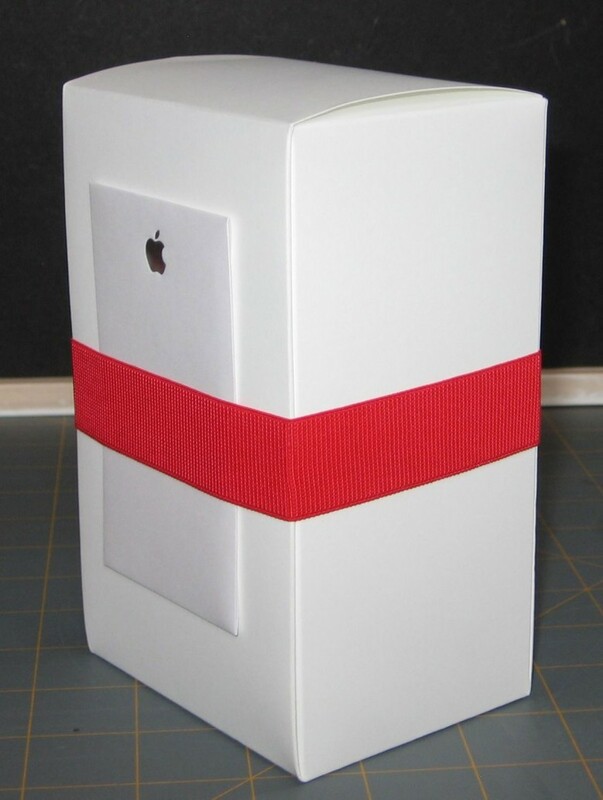 This entry was posted in Apple news and tagged A, Apple 1, Apple 2, apple collectibles, Apple collection, Apple collections, Apple collectors, Apple Laserwriter, Apple Lisa, Apple Macintosh Portable M5120, apple vintage computer, charles ricketts, Cult of Mac 2.0, First Macintosh computer, iphone first, iPod Classic, KansasFest, LaserWriter, Macintosh, the ricketts apple, Vintage Apple. Bookmark the permalink.